LoL World Championship, also known as Worlds – is a competition among the strongest teams of the professional leagues in the moba genre game, named LoL. Firstly Riot Games held World Championship in 2011, and since then they held it annually in September – October, right after the Summer’s split end. The only one exception was Season 1 World Championship, that was held in the summer, 2011. 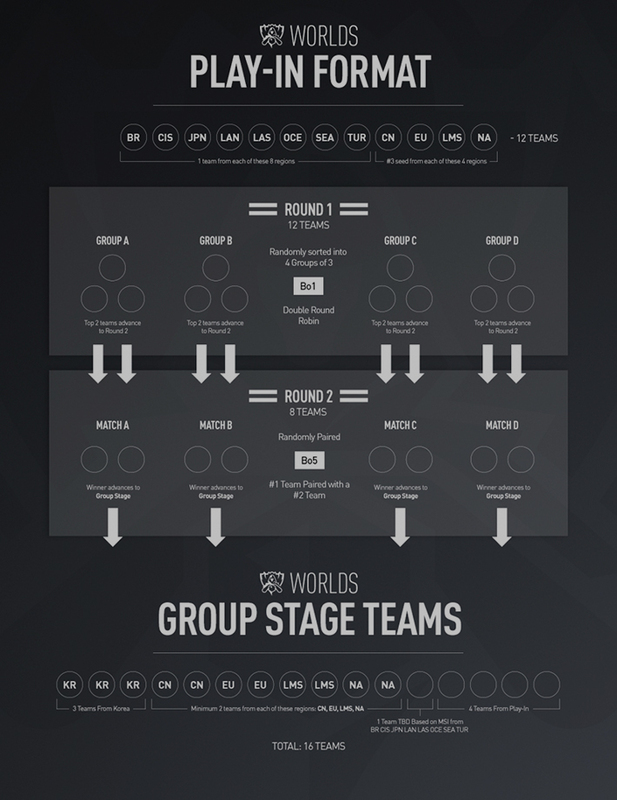 In the first 2 seasons, Worlds consisted of regional qualifications, group stage, and playoff stage. In the third season, winners of the professional leagues in Europe, North America, and South Korea received a golden ticket right to the group stage, bypassing qualifications. Also, in the third World Championship added the qualification tournament for winners in those countries or regions where LoL servers was recently open. 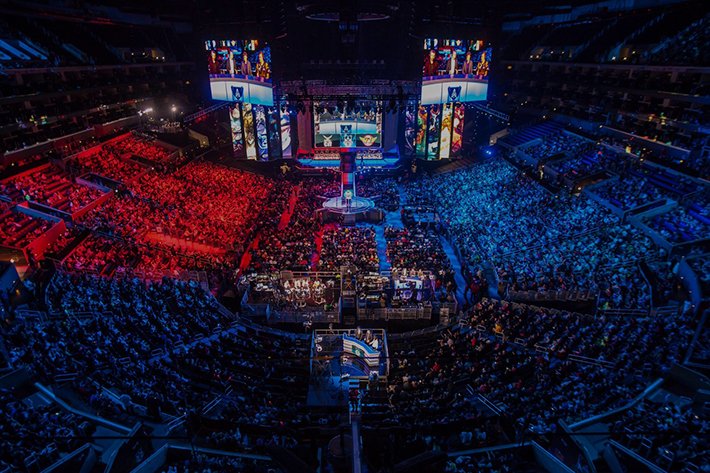 First LoL World Championship was viewed by more than 100 thousands of people. Live-translation of the Season 2 World Championship was watched by more than 1.6 millions of viewers, and the peak reached to 210 000 viewers at the same time. 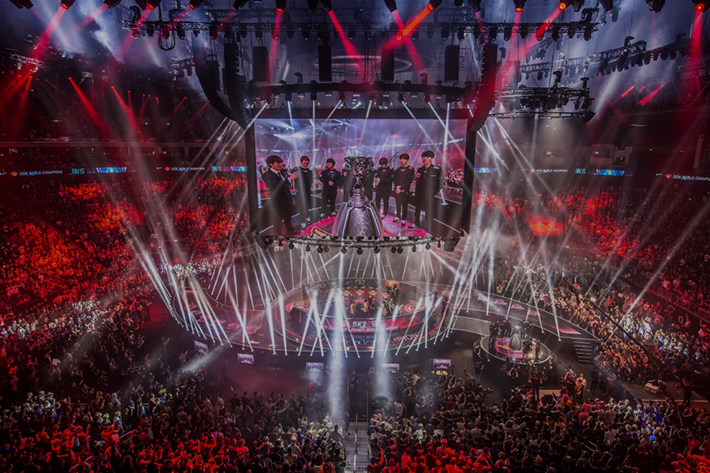 Grand finals of the Worlds 2014 were shown to the 27 millions of people, with the 11 millions of viewers at the same time. The last year’s tournament grand finals were watched by 43 millions, and the peak reached 14.7 millions of viewers. Summing up viewers of all LoL World Championships this number is equal to the 396 millions of viewers in total. The prize fund of the Worlds, Season 1 was $100 000, and Fnatics took the half of the prize pool as the winners of the tournament. From the second to the fifth season, the prize pool was increased dramatically – $2.000.000. Winners of these seasons claimed one million as a prize money. In the last year, Riots decided to use the same strategy as the Valve with their The International. Riot introduced the new system where everyone who buy new Championship Zed skin and Championship Ward adds 25% of the money spent to the prize fund. Original Prize Pool that was assigned by Riot Games was standard $2.000.000 but in the end, it was increased to the $6.700.000 by the help of the LoL fans. Will Riots expand this system in the Worlds 2017? If they do, this will be definitely the new record of the World Championship prize pool. Soon we will know the answer but at this time all information is secured. Worlds is the most prestigious tournament of the LoL, and winners of it receiving not only the giant prize money but also a world wide popularity and a great boost in the professional career. The first major event, names of the winners will be written in the history, and that’s why, despite the small prize fund, the battles were intense and extremely interesting. An interesting fact is that not one Asian team is included in the top three winners. The second season, the teams are already presenting with what they will have to deal with, and the preparation for this tournament is already much more serious. In the Worlds 2012 Asia showed their fangs and pulled out the first two prize places, and since that time they have not weakened their grip. In the third season, the team SK Telecom T1 won its first, but not the last World Championship. Asian teams with unprecedented perseverance fought in the tournament and almost snatched all the prize places, but the winners of the first Worlds – Team Fnatic could take an honorable third place. The fourth season showed who are real champions in LoL. South Korea and China occupied the prize places and did not let anyone else there. South Korea has won the first place and hearts of millions of spectators. Again, SK Telecom T1 showed that they are worthy of being called the best team in the world and again won the first place. The winners of the first tournament – Fnatic again appeared on the horizon but again they took only the third place. And for the third time, the winners were SK Telecom T1, but no one doubted in their success at this tournament. Preparation of the South Korean team did not leave any chance for opponents, but in the finals, they got a worthy opponent. In the end, after a tense struggle, SKT defeated SSG with a score of 3-2. The best teams will come together in China, at the largest event of the LoL – World Championship 2017. Even the most courageous analysts are not going to foresee the winners of this year, but everyone agrees that the matches will be more magnificent than ever before. 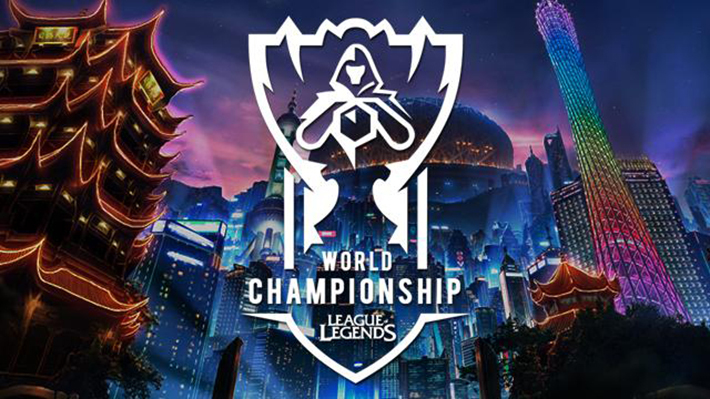 LoL World Championship 2017 will be held in China, and 24 teams from all 13 professional leagues of LoL will fight for the Champion title. The format of the Worlds 2017 has changed and now it includes Play-In Stage before the Group stage. The first round includes twelve teams, all matches are BO1 (best of 1) and only two top teams will advance to the next Stage. The second round will have eight teams, where winners will qualify for the Group stage. In the Group stage, we will meet 16 teams, this format remains unchanged so we may expect a lot of BO1 matches. Eight best teams will receive an invitation to the grand finals, where we will follow the most intense battles (in best-of-5 format), where the teams will not restrain themselves and show everything they can. Next LoL teams earned their ticket right to the Group Stage. They earned it by victories in tournaments throughout all the year.